Augmented reality is finding its way into our lives through various apps and services, from Pokemon GO! to Snapchat stickers and other marketing tactics. 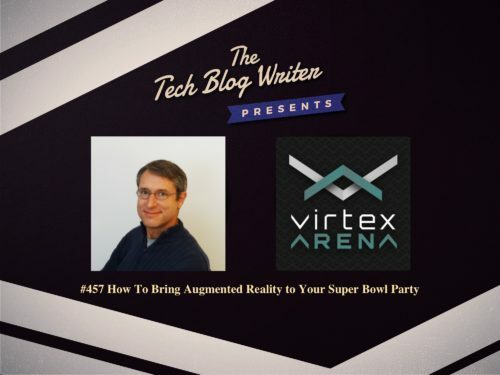 With the Super Bowl just around the corner, one of the latest ideas for AR comes from Virtex Apps, who has designed an AR app for live NFL games called Virtex Arena. Virtex Arena is an AR app that is meant to cure dead time at live NFL games. The app consists of a football kicking game and passing game in which fans can collectively participate and compete against each other during timeouts, commercial breaks, and halftimes. The games take place on the actual field, and the app adjusts according to your spot in the stadium. The games also progress throughout the sporting event, keeping track of team scores and engaging fans who want to win. It’s similar to the idea of jumbotron games during sporting events, except that the audience can actually participate and have a stake in who wins. The Super Bowl in Minneapolis is the first time users will have a chance to participate live either at the game or watching on any television. I chat to Virtex founder Jeff Green about how Virtex has introduced a way to hold multiplayer augmented reality experiences at sporting events, and it plans to roll out a baseball-themed app using this approach at baseball games for the 2018 season. Jeff Green is a Stanford Computer Science graduate with 20 years of experience in software development and team management. He founded Virtex Apps in late 2014 to explore unique ways of combining real and virtual worlds using mobile devices. Virtex’s first app, Chicken Charge, immersed players within a life-size cartoon in which a user walks in the real world to move in the virtual.